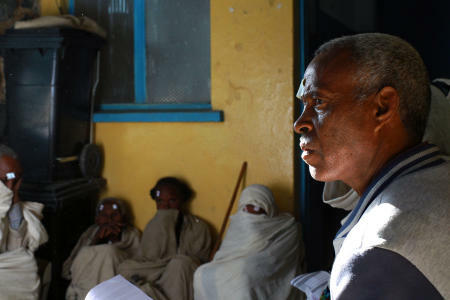 Gebretsahme WeldeSelase is a 54 year old school teacher that has developed bilateral cataracts in the last year. He has not been able to teach, and his government support ran out after six months. 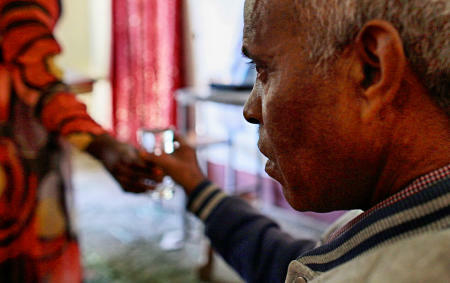 He is dependent on his wife and family for everything, all day. 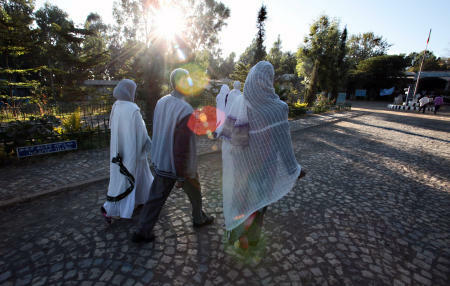 On this day, Gebre walks with his wife to the Aksum St. Mary's Hospital for cataract surgery by doctors of the Himalayan Cataract Project. 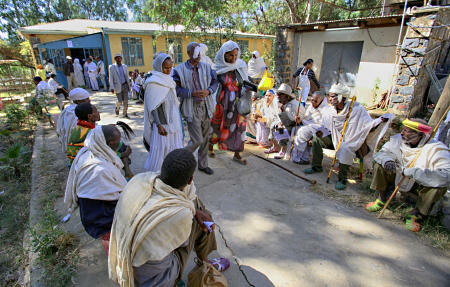 At St. Mary's Aksum Hospital. 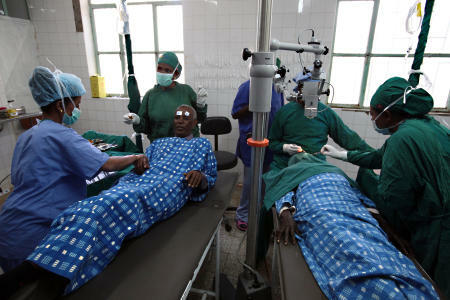 A chaotic, crowded and confused scene, where hundreds of pre-screened patients wait their turn for cataract surgery. Dilating drops have been applied, minutes before his scheduled surgery. 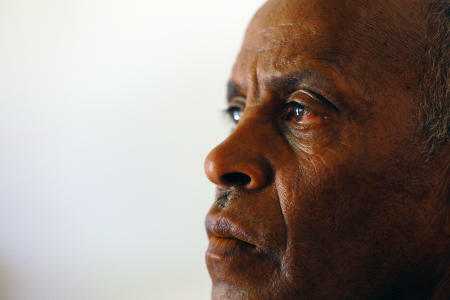 Dr. Tilahun, of Ethiopia, will be performing the surgery on Gebretsahme today. He finishes up on another patient as Gebre is laid out on the gurney. 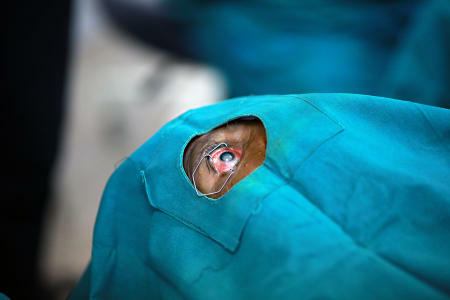 The procedure for both eyes is completed under 20 minutes. After surgery, Gebretsahme walks out of the hospital to his home for a day of recovery. Tomorrow, the patches come off, and he will see again! 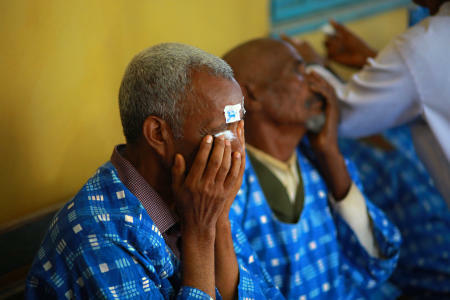 Dr. Matt Oliva, of the Himalayan Cataract Project removes Gebre's patches and examines his eyes as he counts fingers and sees for the first time in over a year. 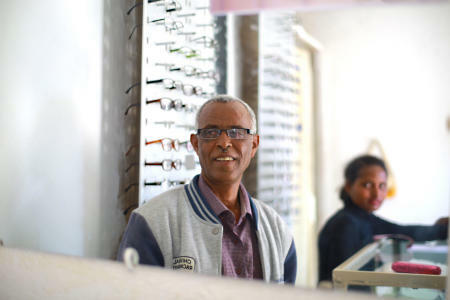 The next day, Gebre visits an eyeglass shop to try on some reading glasses and sunglasses. 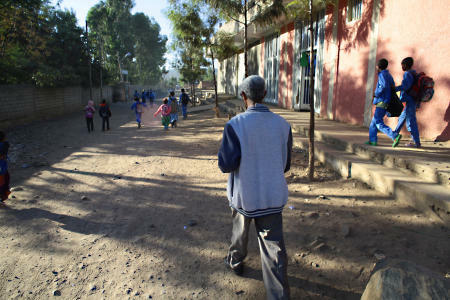 After choosing some sunglasses, Gebre walks to the school where he taught before his cataracts matured into blindness. He would like to start teaching asap. 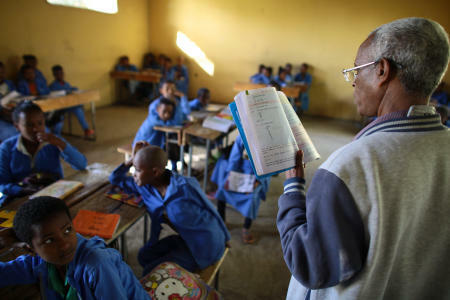 Less than a week after his surgery, Gebretsahme WeldeSelase is teaching classes again at Kindeya Elementary School. He is no longer slouching and monosyllabic; with text book in hand, he takes command of the class, noticeably energized. 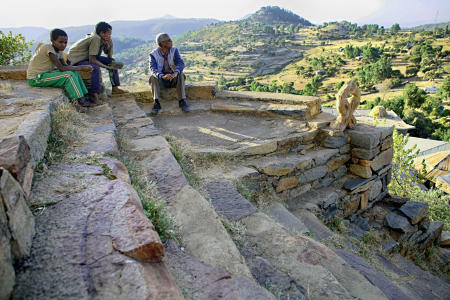 After class, he hikes for two hours up to the Abba Pantaleon Monastery, a historic building on a steep hill, high above Aksum. 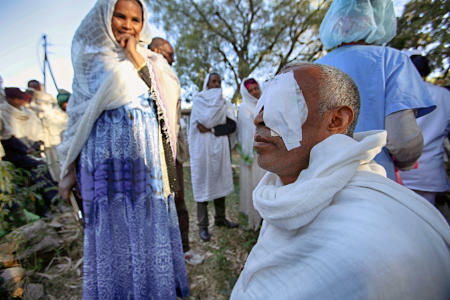 Gebre has thought about this view since losing his eyesight over a year ago. Today, Gebre is a very happy man.